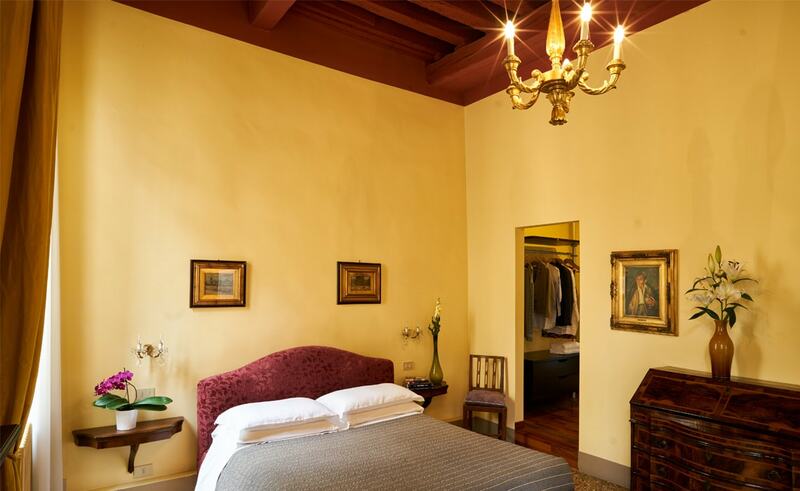 Campiello Zen B&B Venice is located on the piano nobile or main floor of a Renaissance palazzo, which has been a private residence for over 500 years. The rooms are spacious and bright, feature modern amenities, and are tastefully decorated with paintings and furniture from the family collection. 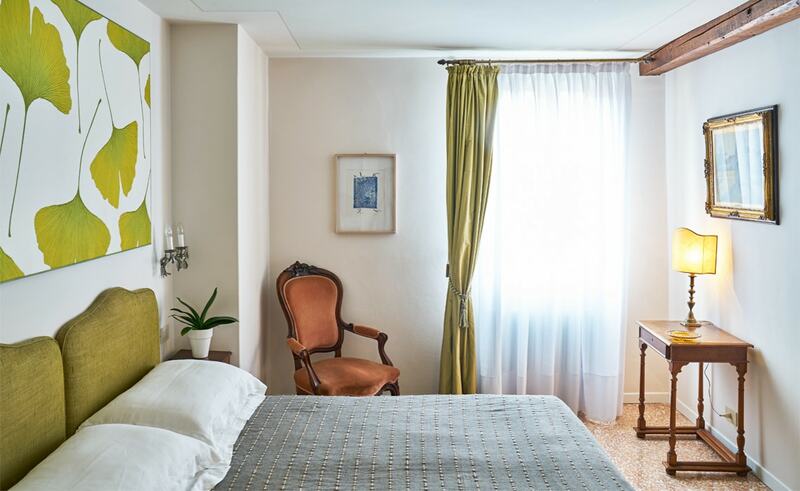 Under a high frescoed ceiling, the main living room and large library provide guests with a relaxation area and comfortable sofa to explore guidebooks and art books about Venice and her history. 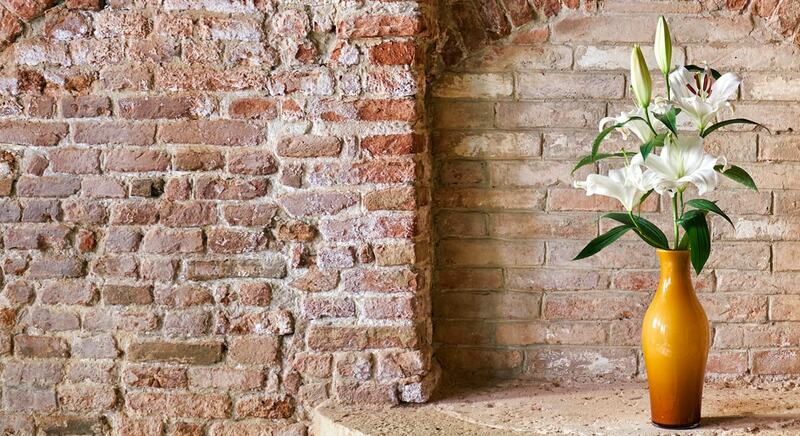 In warm weather, a charming flowered balcony and a small secret garden offer other ways to enjoy Campiello Zen. We are a young couple with two children and a little dog named Pilla. We opened Campiello Zen B&B in 2008, driven by our passion for hospitality and by a desire to raise our family in this extraordinary city. We enjoy art, good food, and good wine. We love to travel and to meet new people who travel. We believe in a slow tourism respectful of places visited. We like small artisinal shops, restaurateurs who do their jobs with love, books, and storytelling. This cozy double room features emerald tones to create an intimate and relaxing atmosphere. The original flooring, in marble, and the furniture, drawn from Venetian and Tuscan traditions, give this room a quiet elegance. 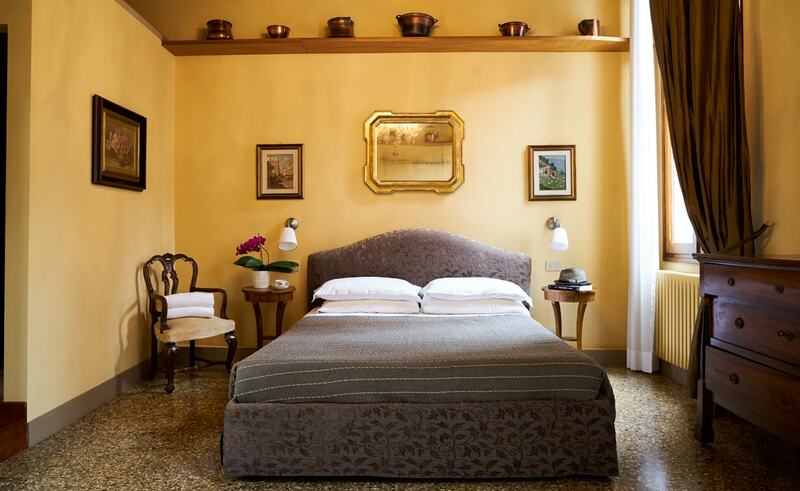 This spacious double room features warm shades of bronze and a high ceiling with exposed beams. 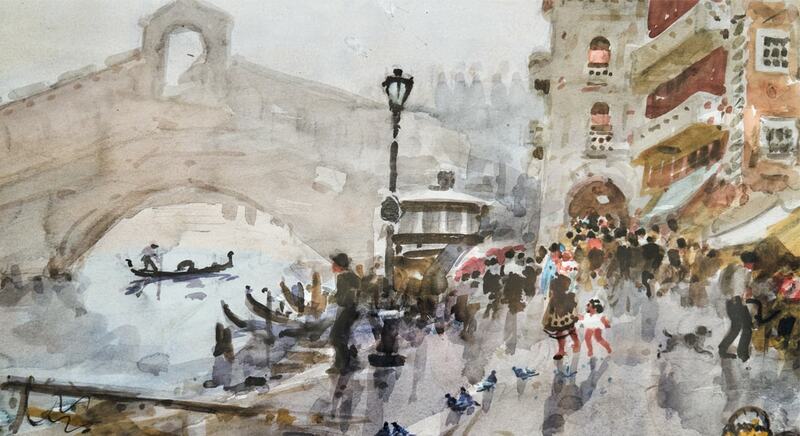 The decorations include paintings and antiques from the family collection, and a glass chandelier from Murano. This large and bright double bedroom features violet tones, a terrazzo floor alla Veneziana, and high ceilings with exposed beams. The fireplace and the paintings and antique furniture from the family collection make this room elegant and welcoming.